The latest iteration of the popular Spyderco Dog Tag Folder - the Dog Tag Folder Gen 4, designed by knife maker Serge Panchenko, features a 1.19" non locking sheepfoot blade made of CTS BD1 stainless steel, .118" thick, with a stonewash finish, double bevel grind, decorative fuller, and the Spyderco hole for one hand opening. The dog tag shaped handle, 2.03" closed, has matte finished aluminum scales with spring bar and ball bearing detent that help keep the blade in the open and closed positions, and a lanyard / key ring hole. 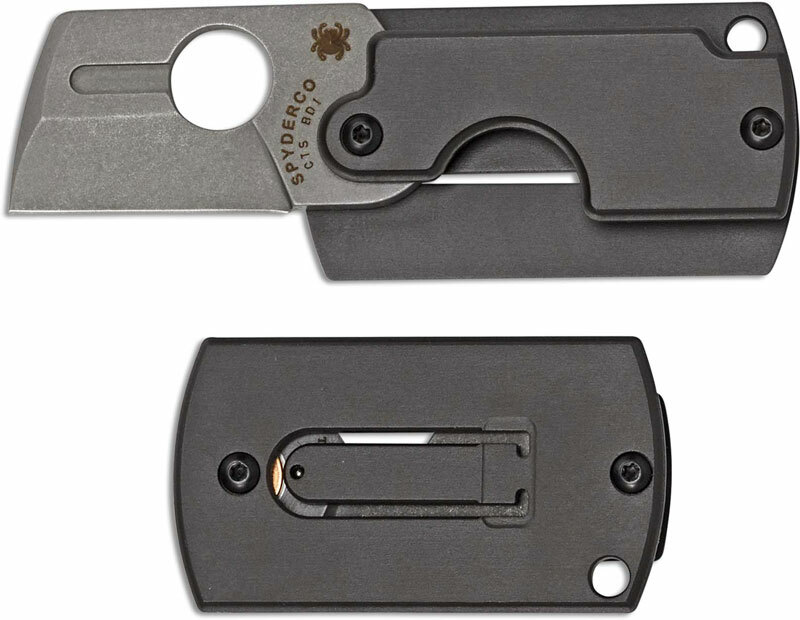 The Spyderco Dog Tag Folder 4 has an overall open length of 3.22" and it weighs .9 ounces. Made in Taiwan.